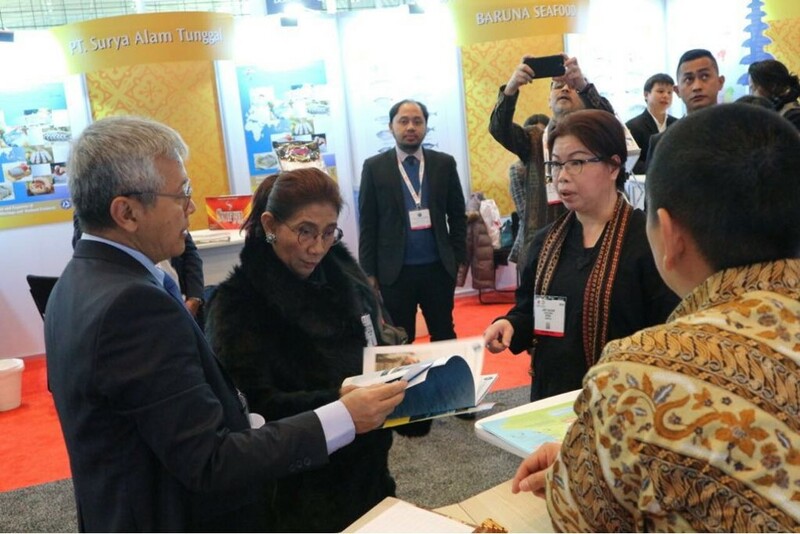 It is a pleasure to announce that the Indonesian Pole & Line and Handline Fisheries Association (AP2HI) will participate at The Seafood Expo North America 2019 (SENA) in Boston, USA. The event will take place at the Boston Convention and Exhibition Center, Boston from 17 until 19 March 2019. SENA 2019 is one of the largest seafood trade events in the world. According to seafoodexpo.com, more than 1,300 companies from more than 50 countries will exhibit their seafood product in this event. At SENA, the association will launch a new brand for Indonesian one-by-one tuna fisheries. The brand for Indonesian one-by-one caught tuna has been developed by the industry with the support of UNIDO’s Smart Fish programme, to promote Indonesia’s sustainable tuna fisheries to the world. It is an umbrella brand, managed by AP2HI, that ensures buyers that the member’s product is of premium quality caught one-by-one, using sustainable fisheries methods. The brand launching event will take place at SENA 2019 on March 18 at 4 pm, followed by a networking cocktail at the Indonesia Seafood Pavillion. The launching event will feature Mrs Janti Djuari as AP2HI’s chairwoman and representatives from the Indonesian Ministry of Marine Affairs and Fisheries, UNIDO and the International Pole and Line Foundation (IPNLF). International buyers, media and other stakeholders are happily invited to attend the event and take the opportunity to network with the Indonesian suppliers. Indonesia is not only among the top 5 exporters of processed and canned tuna in the global market. The country has actually the largest tuna catch in the world with 16 percent of the world’s total tuna supply. A large part of that volume is caught by traditional pole and line and handline fishing. This method ensures that wild tuna will remain available for future generation. As a global leader in one-by-one caught fisheries, Indonesian tuna can truly make a significant impact to a sustainable global tuna supply in the years ahead. We look forward to meet you in Boston and elaborate more on what we as an association, and our members, can do for you.